It had been a while since I had done any proper cycling so while I was visiting Yorkshire in early 2014 I was chatting to my sister, a very keen cyclist about riding along the towpath on the Leeds Liverpool canal. After a pint or two we agreed it was a good idea and she said she would love to do it with me….. Nothing happened so that was the end of that for quite a few months… obviously far too much beer and not enough ambition! 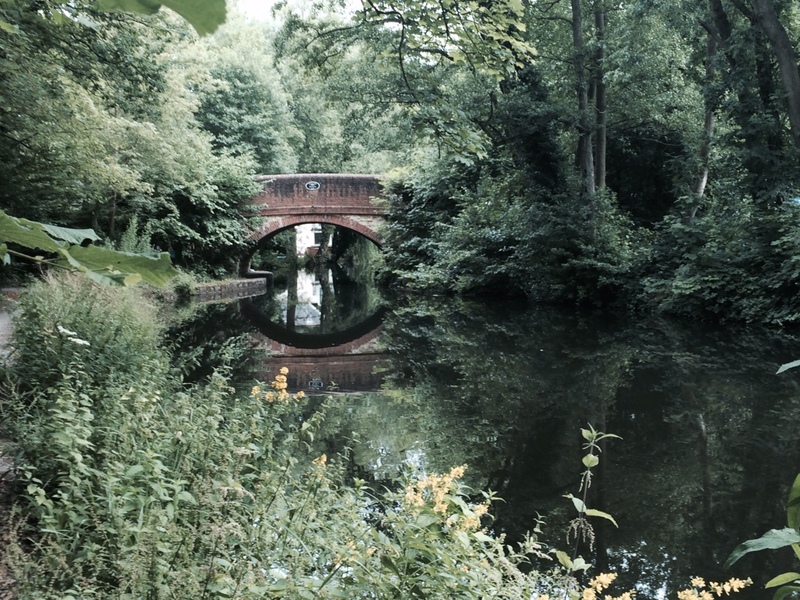 Time went by the sun started to shine a little more frequently so I dusted off my old Diamond Back mountain bike and did a few miles on my local waterway the Basingstoke canal… actually it was very pleasant and rekindled some of my enthusiasm for being out in the saddle. Sadly work gets in the way far too frequently so I am limited to weekend rides only. 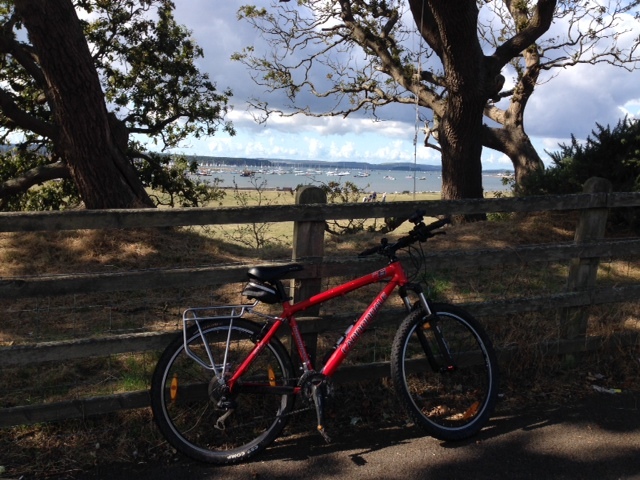 I enjoy cycling and although it can be a solitary pastime I have always preferred cycling with others and I was lucky enough to meet a lady who shared some of my interests…. Drinking Red wine being the main common denominator but Susan had a bike and was also up for a challenge so we chatted about it and decided that it was a really good idea and would be “fun”. We started to do a bit of training, well I did a bit but Susan did a quite a lot! It was obvious to me that Susan would not be able to cover any long distance route on her cast iron German touring bike so I gave her my Cannondale F5. She seemed to quite like it especially as it is about half the weight of her other bike. Strangely it does seem attract quite a bit of attention so it is locked up whenever she parks it and its rarely out of sight even then. A few minor upgrades / additions to our bikes included rear racks with lights, new cushioned grips and I even bought a set of panniers, Susan bought herself a mount for her GPS and most importantly we both fitted a bell so we could wake up the bloody idiots ambling along with their dogs oblivious to any other track user! Canals are FLAT, tow paths are SMOOTH and the quiet beauty of the countryside would make the miles just fly by… Yeah right!!! Independently we read just about everything we could about the route on the internet and I got on with the technology mapping the route on my Garmin software. 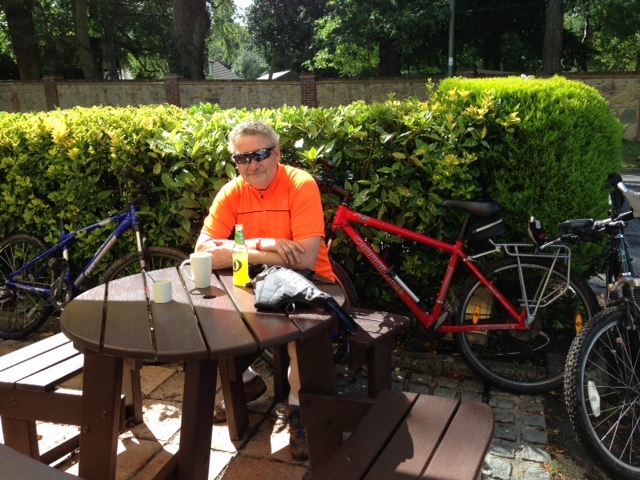 The “plan” was 74 miles day one and 55 on day 2… as I said canals are flat, tow paths are smooth etc. The split at 74 miles was determined by there being a pub almost on that canal where we could stay overnight. As I’m getting on a bit I persuaded Susan that the idea of “Wild Camping” along that canal was not a good idea. 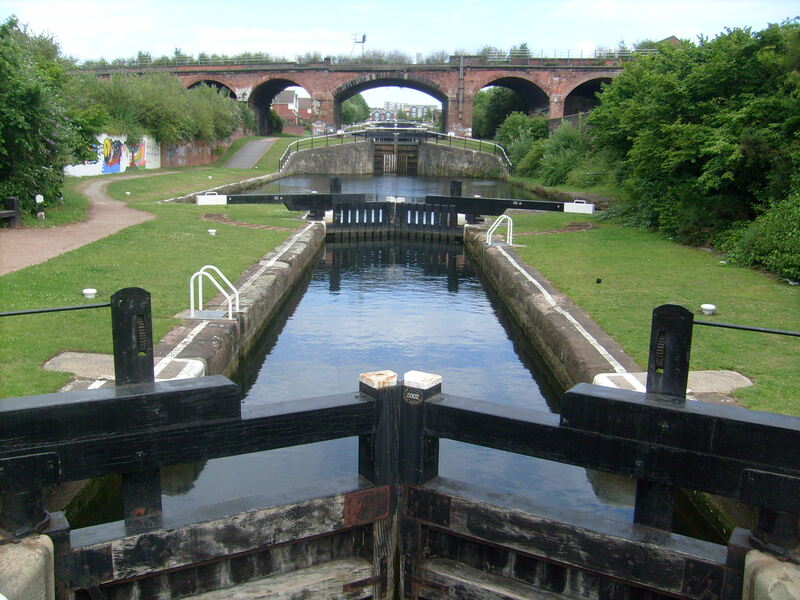 One major gem of information gleaned from the internet research was that we could buy a key from the water board that would allow us to use the “Facilities” (water points and toilets) that they provide along the UK waterways…. total cost £6 delivered…. maybe a lot to pay to “spend a penny” but in my view well worth it. After LEJoG in 2012 I really appreciated the planning that Paul had done to make the trip successful so we planned the trip in some detail. Susan was extra extra enthusiastic and did the main logistics, took our bikes up to Liverpool so we did not have to lug them through London in the rush hour and left her car in Skipton where we were staying in her friend’s hotel so we did not have to get the train back either. Having the car in Skipton turned out to be a bit of a bonus but more of that later. After a quick beer with John in the Feathers we caught our train to Liverpool and passed the time drinking a bottle of red (did I mention Susan likes red wine) and tried to work out how to set up my sons Go-pro camera. After lots of beeping and accidentally taking silly shots up our nostrils we had it set up to take a picture every 10 seconds. Despite leaving them in Liverpool our bikes were thankfully still in the porters store so to bring the tone of the establishment down we wheeled them out into the lobby took them up to our room so we could get them ready for a very very early start the next day… the plan was to get off at first light to give us plenty of time to get to the pub later that evening. “Sensibly” instead of going to bed to get some sleep we popped into the bar for a nightcap, the beer was CRAP so it was easy not to stay long so we quickly checked out where the canal was and went back to the room to get some sleep. That was it no turning back now as I said we really had no idea what it would be like and our research although through did not tell us what to expect. Some people did it in a day others took 5 days……. The accounts of completing it in a day were terrifying with people dropping out along the route being the common theme. The weather could change everything but as we checked the forecast all look good. Hello Mike Very interesting, just read the 7 P’s and looking forward to reading more. It certainly was a well planned safari. the next month I’ll run in a race Liverpool to Leeds. What’s the best map to take with me, from your point?